1/ It's perfectly normal to get divorced and remarried within four months. Hey kids - why waste your time dating to see if (s)he's the one? Just marry 'em and figure it out later. 2/ You've given hope to vertically challenged kids everywhere that you can be the shortest kid on the playground and still get the hottest girl at school! 3/ It's OK to tease children with phrases such as, "I'm gonna flush out the trash in the suburbs" or "Get out of here poor idiot!" 4/ You supposedly claimed in a playgroup that Spain's Prime Minister isn't the smartest kid on the block. Now Daddy, you should only tell Mommy Carla that kind of stuff. In. Private. Don't do it in front of the kids. There are numerous other examples Daddy, but La Mom's not here to take you down on your big day. I think you're fabulous and j'adooooore you! In fact, I'm writing this letter to alert you that the English are at it again. Did you read the Daily Mail on Monday? The Brits are making fun of France - and since you're France's top Daddy, well, I just thought you should know what they are saying behind your back. Since World War II, the French and its army have been seen by many as standard-bearers for surrender, cowardice and military ineptitude. What do you call 100,000 Frenchmen with their hands up? How can you recognise a French veteran? Because she has only one arm raised. Why do the French get more votes in the U.N.? They vote with both hands. What is the first thing the French Army teaches at basic training? How to surrender in at least ten languages. Why does Nike like the French Army? Because in wartime they are the biggest buyers of running shoes. Not a very nice anniversary present from the English is it? They're just jealous France has Carla and they don't! (For the full article and joke list, click here. Pump up the volume! Pump up the volume! Dance! Dance! La Mom is definitely fashion forward and technology backward! She finally figured out how to shuffle the Music Bar playlist! You can now sample a mix of great songs in English & French about Paris, love, kids, and Dr. 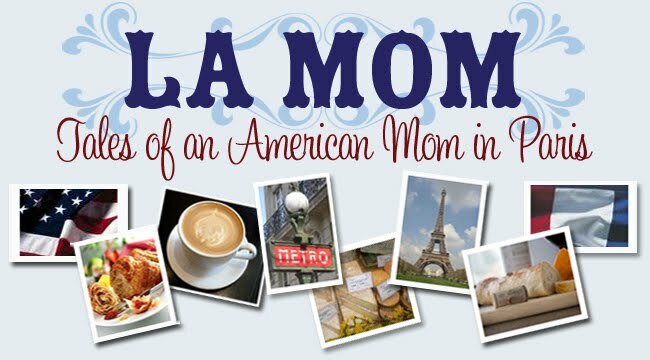 Hot instead of listening to Frank Sinatra's "I Love Paris in the Springtime" over and over everytime you read La Mom. Enjoy! What a list! Sun burnt armpits, eh? LOL! I've been waiting all week for a good laugh! And this did it...as usual you make me smile and chuckle. You have such a way with words! Tell me you drink a few glasses of wine before you write, no one can be this funny on their own. Always entertaining! Oh my! your too funny. A very good read LA mom, xv. Great posts!! I've also had a share of interesting expat activities in Germany. I would LOVE to see a list of German inspired comic relief- I'm sure it would bring the LOL's!! Come on over and say hi at baroquebabies.com. What is it about France and short men? Love your musique selection, merci! Love this post, la Mom! To tell the truth, I quite like Daddy but then maybe because I live in England! Great music btw. Ciao. A.